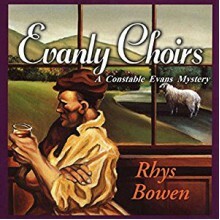 When Constable Evan Evans is persuaded to join the local male choir for the upcoming eisteddfod (cultural festival), he doesn't think the addition of his mediocre voice will do them much good. In spite of all the effort that choirmaster Mostyn Phillips puts in to the choir, it is not exactly first class. Hope arrives in the form of world-renowned tenor Ifor Llewelyn, come home to Llanfair to rest, on doctor's orders. Llewelyn immediately sets about renewing old friendships, and Mostyn even persuades him to sing with the choir. But Ifor isn't in Llanfair long before the residents decide that his presence is a mixed blessing. Noisy fights between Ifor and his wife, a threatening stranger, and Ifor's own warped sense of humor make life in Llanfair increasingly tense. When he announces that he is planning to write his memoir, telling all about his numerous relationships with famous and infamous women, he jokes that some people won't be happy. But is someone unhappy enough to commit murder to stop him? While tracking down a dangerous killer, Constable Evans also manages to navigate the treacherous waters of neighborhood rivalries, lusty barmaids, and local gossip. With her third book in this acclaimed series, Rhys Bowen offers another pause-resisting tale of small-town mayhem and murder in Evanly Choirs.